Last Friday, some fellow “Vigeteers” and I made our way down the street to the State Theater for this year’s edition of BlogPotomac, a one-day social media marketing event. Below are a couple of key takeaways from the day’s discussions. Ford Motor Company’s Social Media Lead Scott Monty spoke on crisis communication and the importance of an organization having a digital hub. A digital hub is an official web site, microsite, or blog that serves as an anchor to link back to as your organization engages in social media. Scott offered The Ford Story as an example and reinforced Shel Holtz’s belief that blogs are not dying. Blogs will continue to be used for what they are good at; offering a means of rapid response in an authoritative and archived fashion (i.e., a type of digital hub). Shel pointed to Southwest Airlines’ Nuts About Southwest blog in his talk. Both Scott Monty and Network Solutions’ Social Media Swami Shashi Bellamkonda discussed their use of social media in crisis communications. Their message was simple: respond! Responding to negative comments or misinformation is the single most effective way to promote transparency and, therefore, trust. Both speakers agreed that the last thing an organization should do in crisis is to go quiet. A response as simple as, “we’re looking into it” can go a long way. Both shared instances where a “we’re looking into it” response sparked others to comment on their organization's behalf. What if we can’t respond due to possible litigation? Shashi recommends responding by saying you can’t respond. How quickly should one respond to a crisis? Shashi tries to respond in 30 minutes or less, noting that a response changes the tone of comments from yelling to a conversation. Is it a true crisis? If so, how bad is it? Acknowledge the other side’s feelings. For other impressions and recaps of the event search Twitter for the hashtag #blogpotomac. Thanks to Geoff Livingston and Jen McClure for hosting the event! 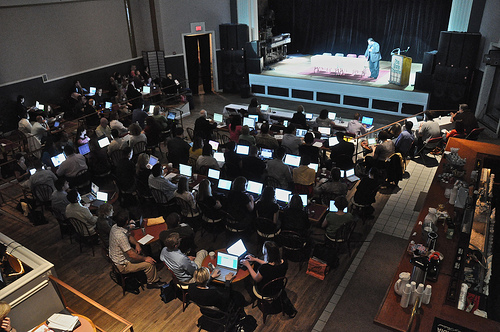 Sadly, the third and final BlogPotomac will be October 23, 2009. 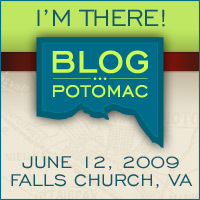 Stay tuned to the www.blogpotomac.com for details.